Jeffrey Ochsner has taught architectural design, urban design, historic preservation, and architectural history for nearly 30 years. He holds adjunct positions in the Departments of Landscape Architecture and Urban Design & Planning and is a member of the College of Built Environments Preservation Certificate, Urban Design Certificate, and Built Environments Ph.D. faculties. Ochsner served as Chair of the Department of Architecture from 1996 to 2002. In July of 2007, he began serving as Associate Dean for Academic Affairs in the College. Jeffrey has twice won the College of Built Environments Lionel Pries Award for teaching excellence. He is a Fellow in the American Institute of Architects and a recipient of the Association of Collegiate Schools of Architecture Distinguished Professor Award. Ochsner is author of H. H. Richardson: Complete Architectural Works (1982), editor and co-author of Shaping Seattle Architecture: A Historical Guide to the Architects (First Edition, 1994; Second Edition, 2014), co-author of Distant Corner: Seattle Architects and the Legacy of H. H. Richardson (2003), author of Lionel H. Pries, Architect-Artist-Educator: From Arts & Crafts to Modern Architecture (2007), and Furniture Studio: Materials, Craft, and Architecture (2012). Lionel H. Pries, Architect-Artist-Educator was a finalist for the 2008 Washington State Book Award in History/Biography. Ochsner has publications in the Journal of the Society of Architectural Historians, JAE: Journal of Architectural Education, Pacific Northwest Quarterly, and ARCADE. From 1990 to 1994, Ochsner was a member of the editorial board of JAE: Journal of Architectural Education. 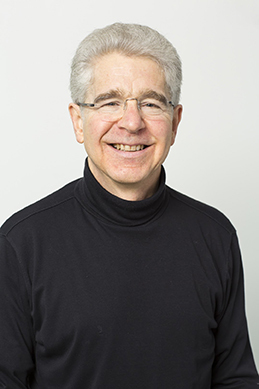 He was the Local Chair for the annual meeting of the Society of Architectural Historians in Seattle in 1995, and served on the Board of the Society from 2000 to 2003. He currently serves on the Editorial Board of Pacific Northwest Quarterly.